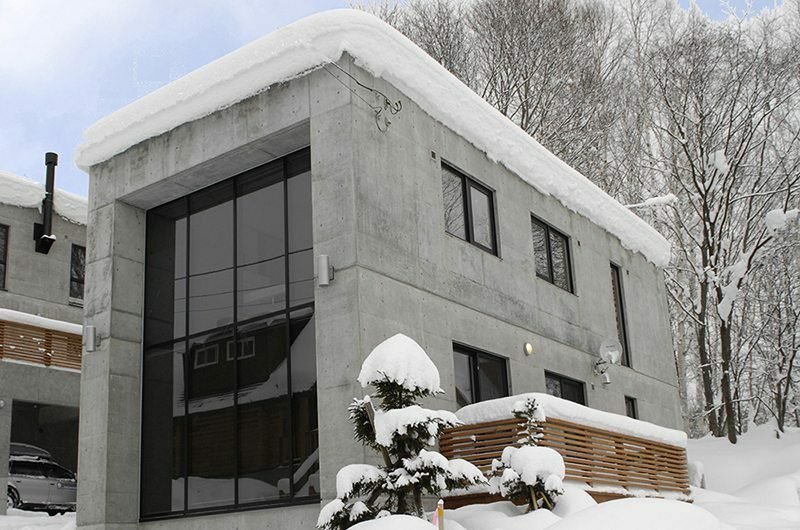 It’s hard to miss the unique design of Yuki Uchi when strolling down the street in Hirafu. 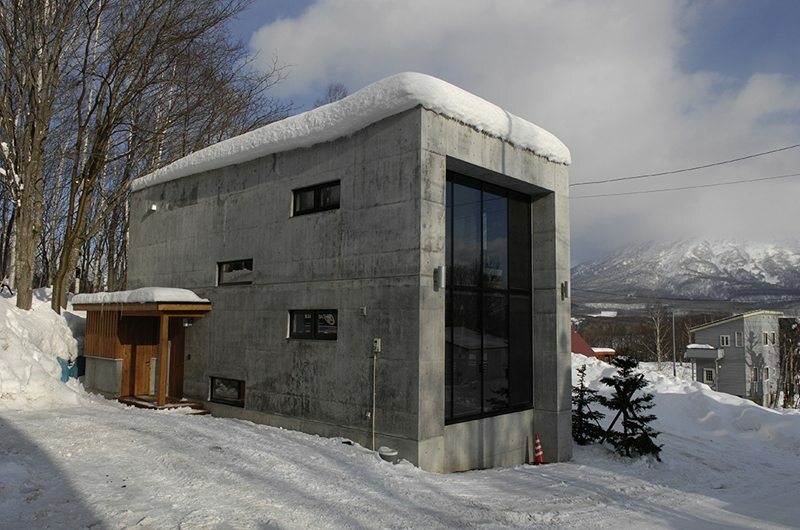 This is a modern industrial ski chalet with a striking concrete exterior located in a central but forest-bound corner of Hirafu ski village. 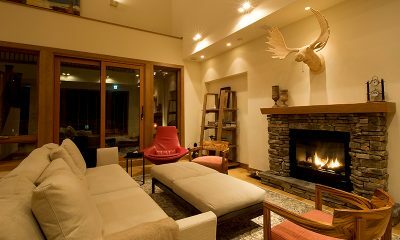 Though edgy on the outside, Yuki Uchi offers warm comfort with its relaxed living areas and three peaceful bedrooms. 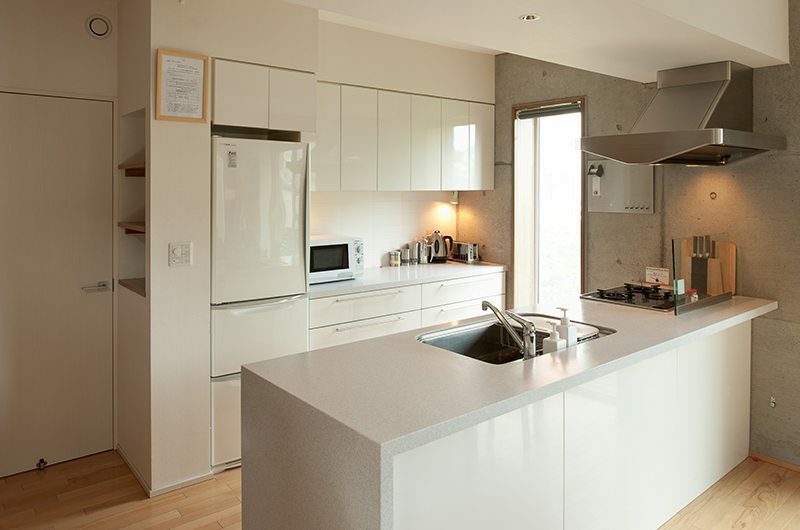 Creature comforts are represented by the fully-fitted kitchen, handy laundry room and compact ski room. 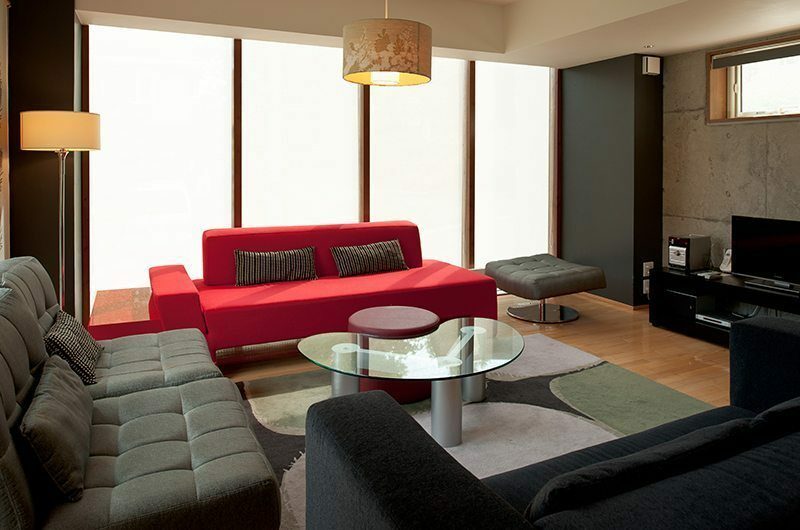 To make logistics all the smoother, the closest shuttle bus stop is just three minutes away. 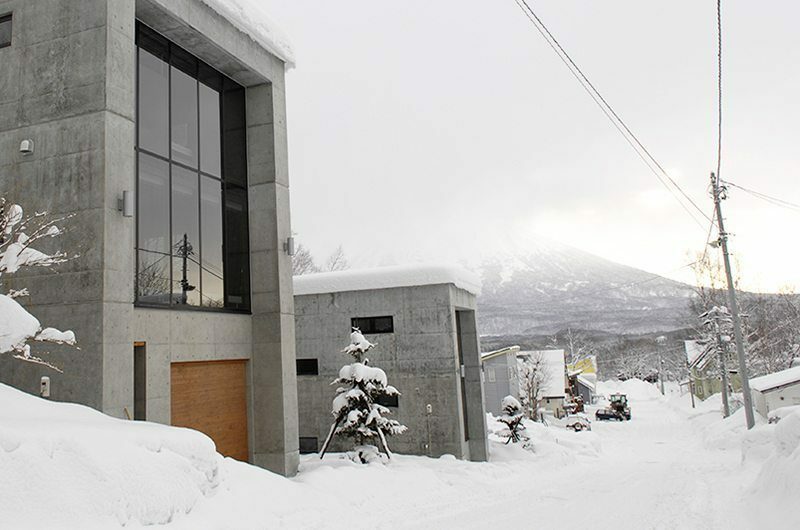 The old platitude of not judging a book by its cover certainly holds true for Yuki Uchi. 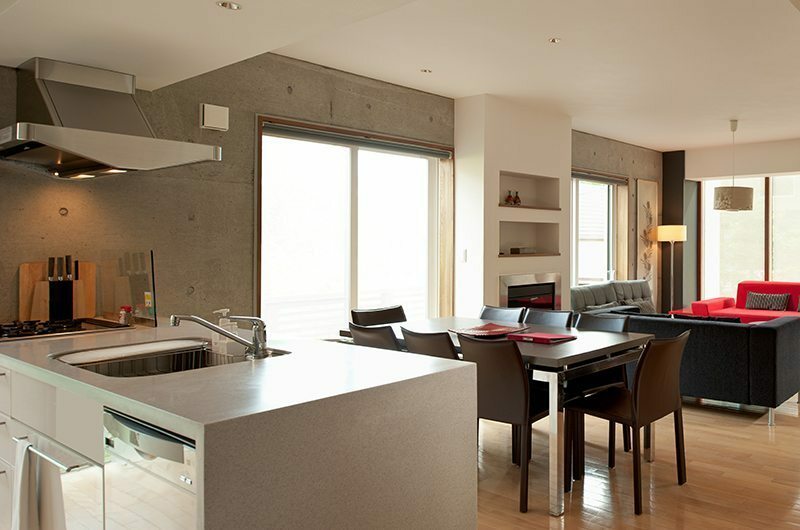 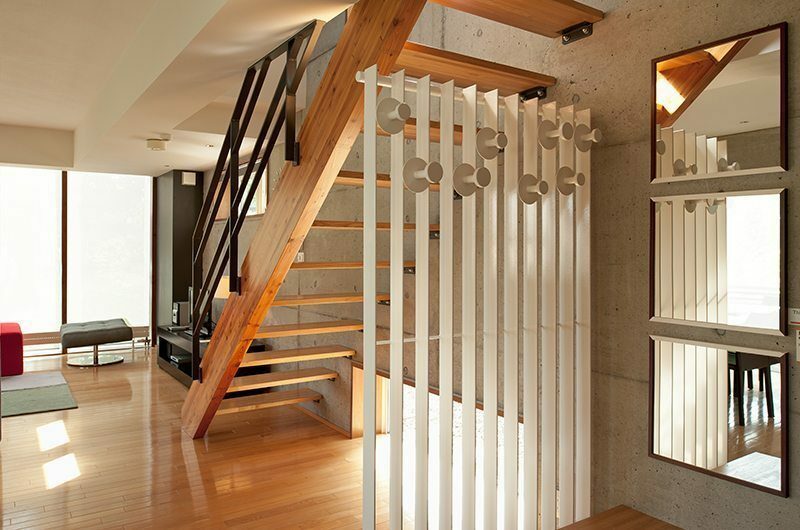 While its solid concrete exterior may seem daunting, stepping into the chalet immediately makes you feel warm and cosy. 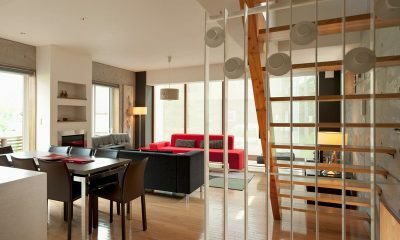 The rooms are decorated with warm tones of timber and red, with centralised heating to warm you up after a day spent out in the snow. 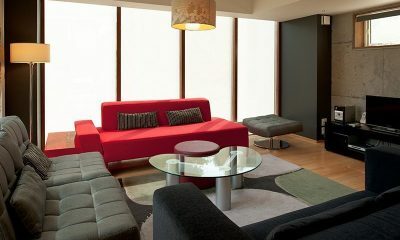 The living room is located on the ground floor with huge windows looking out to the surrounding snow. 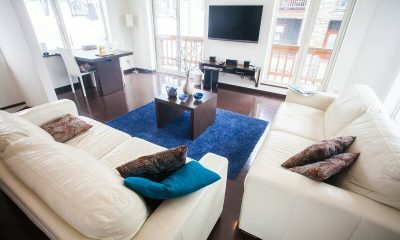 The room offers ample seating on a trio of sofas, with a large flatscreen TV offering après-ski entertainment. 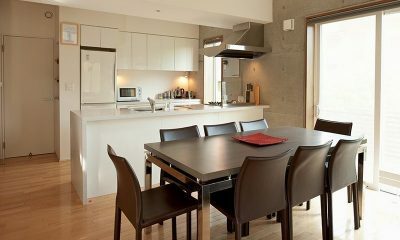 The dining area is built to the back of the open-plan living room, with a sleek modern table surrounded by eight matching chairs. 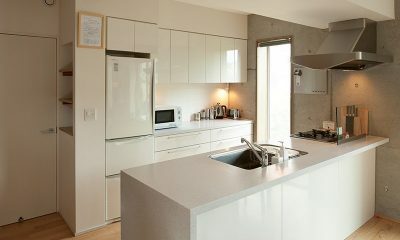 The dining area is followed by a well-equipped open-plan kitchen. 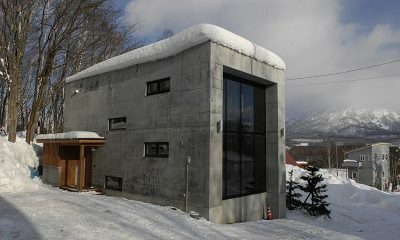 Yuki Uchi has three bedrooms, all located on the chalet’s upper floor. 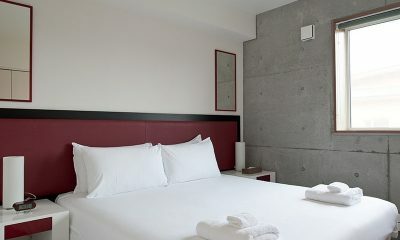 Two rooms have split beds which can be set up as a double bed or two single beds as needed. 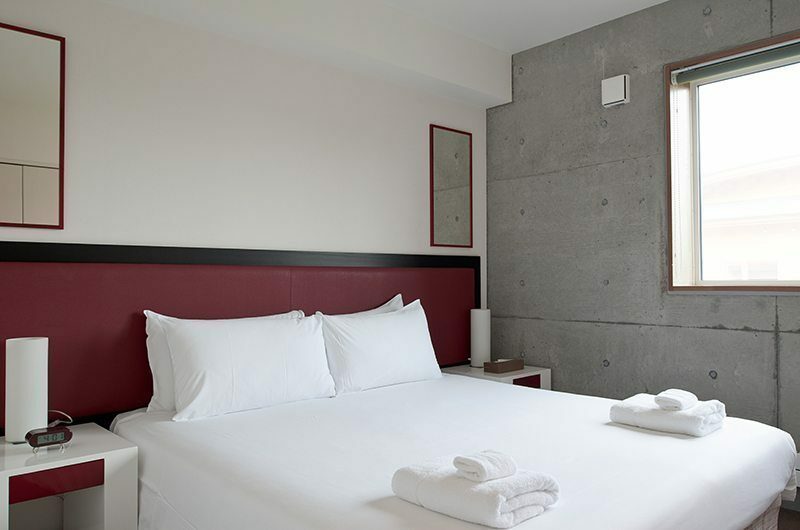 The third room has a split bed and one single bed. 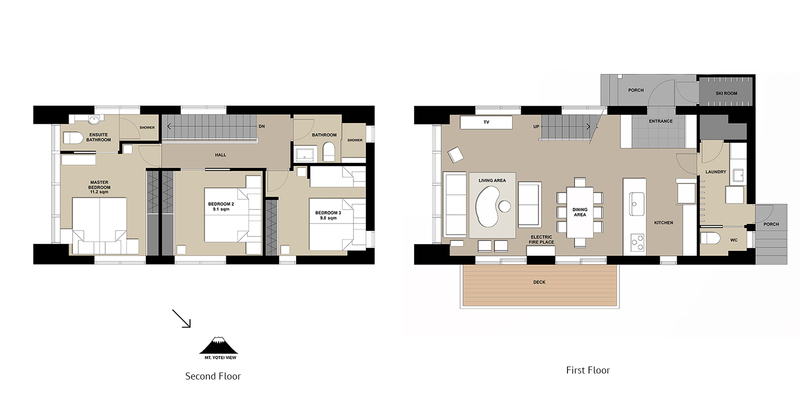 The master bedroom is on the upper floor. 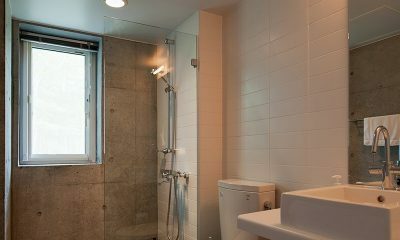 The room has a split bed and an ensuite bathroom with a shower. 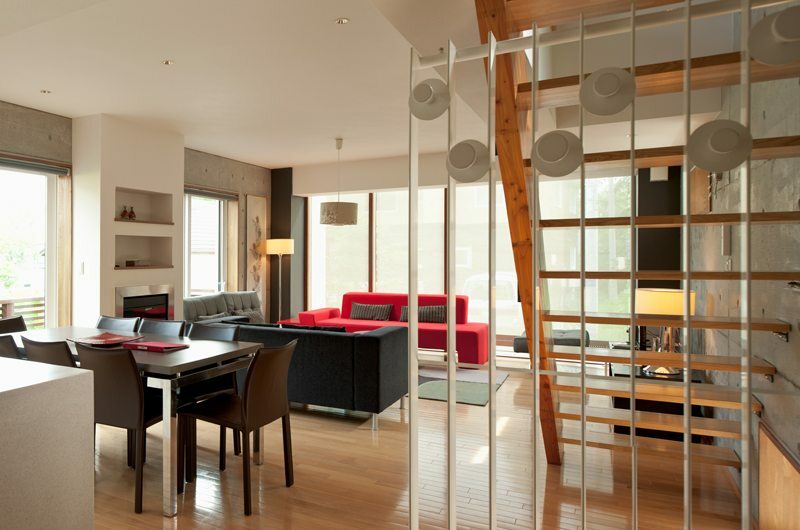 The second bedroom is also on the upper floor. 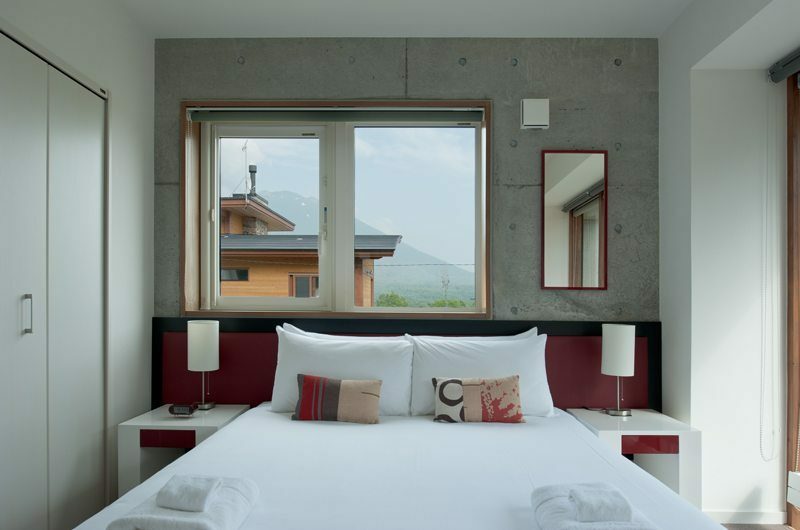 The room has a split bed and access to a shared bathroom with a shower. 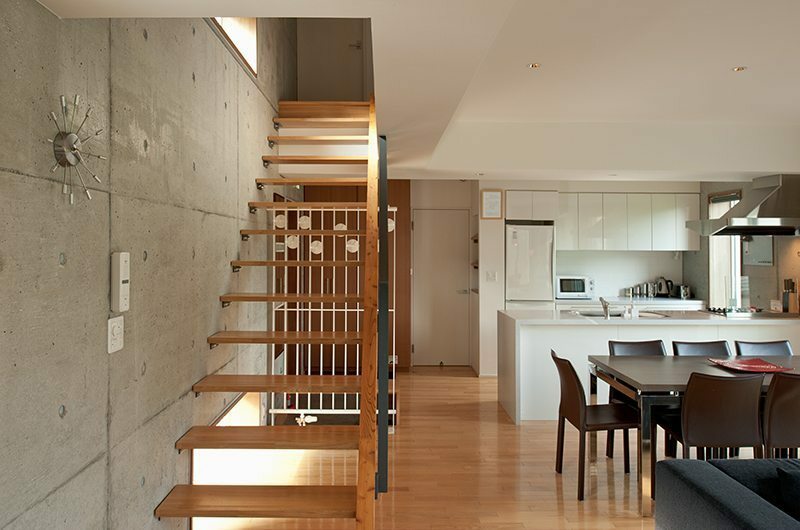 The third bedroom is also on the upper floor. 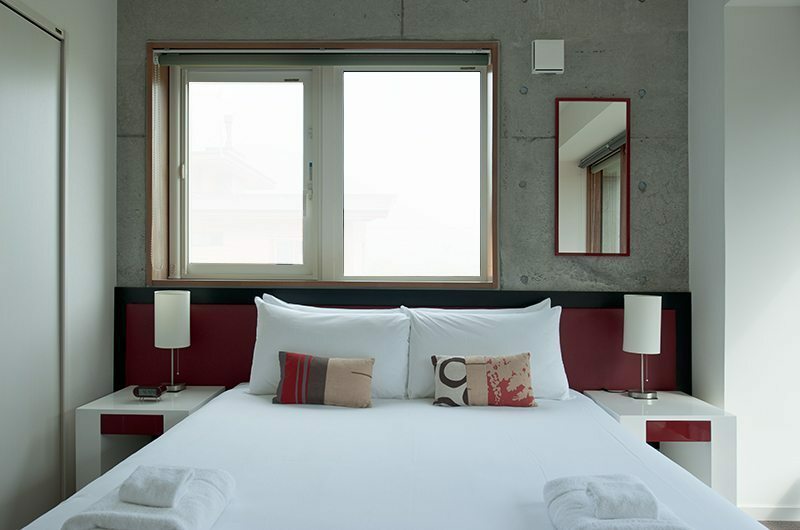 This room has a split bed and one single bed. 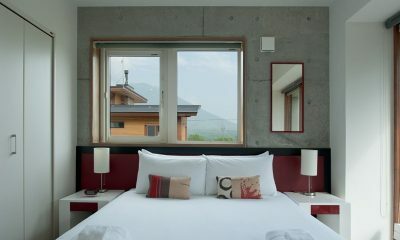 The configuration can also be three single beds. 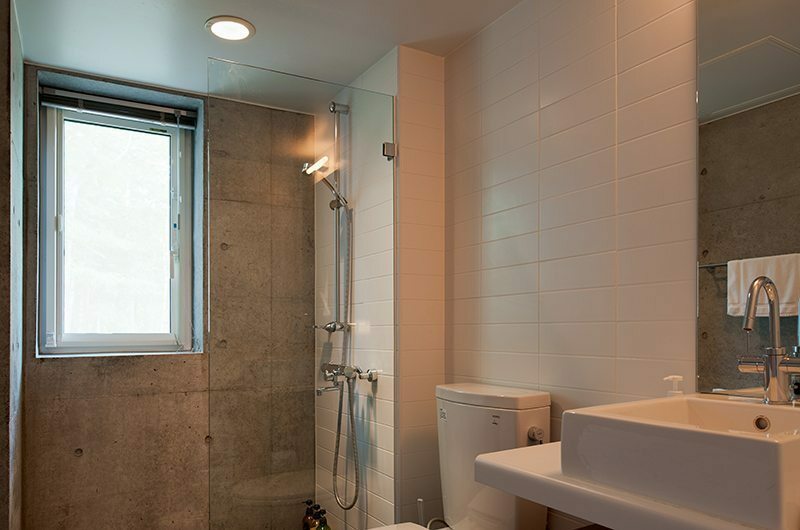 The room has access to a shared bathroom with a shower. 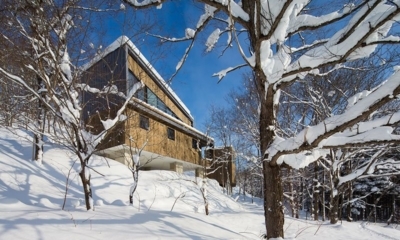 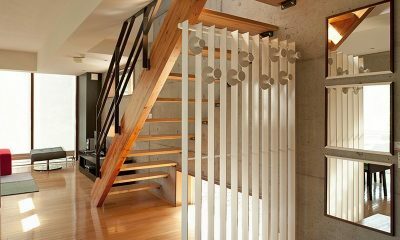 Yuki Uchi is a three-bedroom chalet that’s built over two floors. 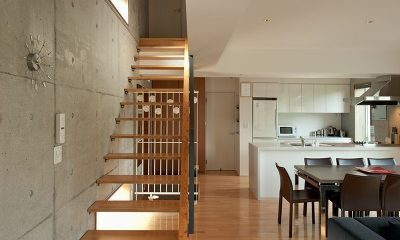 The living and dining areas are located downstairs. 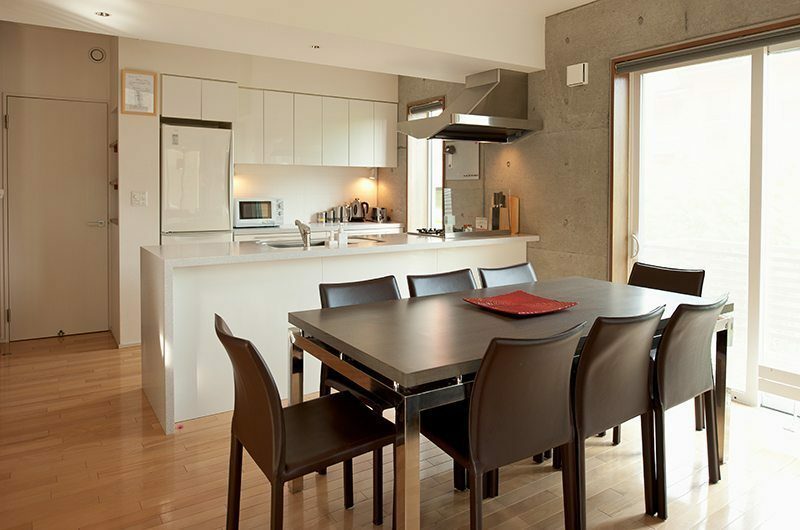 The three bedrooms are all located on the upper floor. 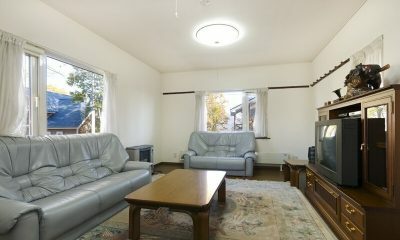 Yuki Uchi is located in the Lower Village in Hirafu, offering a peaceful locale that’s still close to the action. 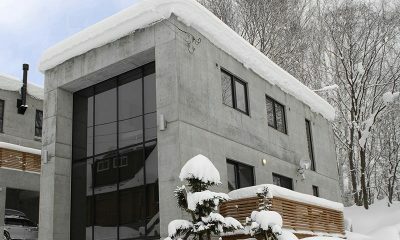 Within walking distance are famous bars and restaurants such as Big Foot, Slippery Slope and Bar Gyu+ (Fridge Door Bar). 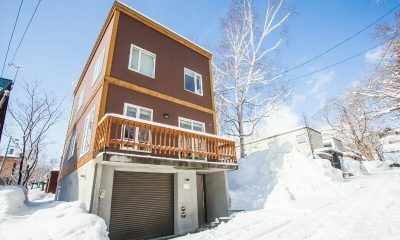 The Ace Family Chairlift is a 15-minute walk away, however, you can also take the shuttle bus which has a stop right around the corner. 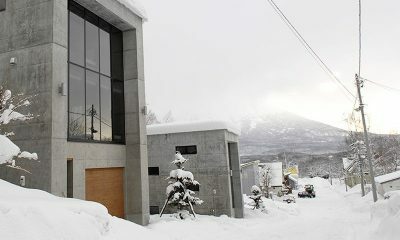 After a long day on the slopes, walk down to the quieter side of Lower Hirafu to an izakaya for a warm sake and dinner. 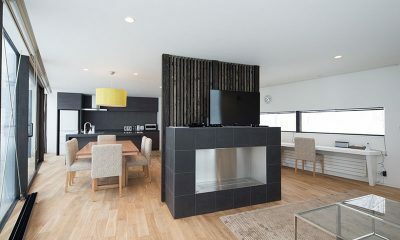 Super cheap in March! 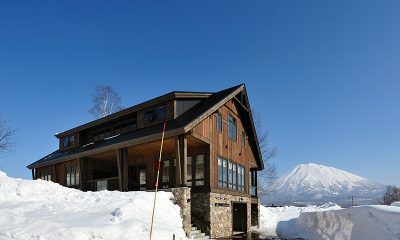 I have stayed here for a couple years in a row now and mainly due to the ultra cheap rates in the low season of March. 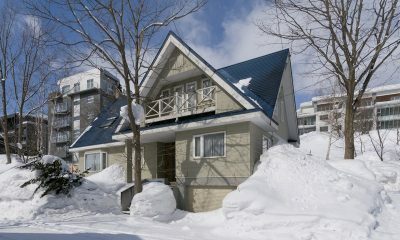 It snows every March so it’s also a great time to come if you are not one for crowds. 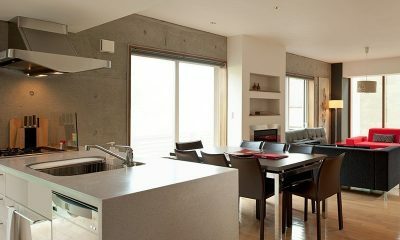 Kawasemi Residence is a sleek and stylish ski chalet surrounded by pristine nature at the prestigious Escarpment Estate.